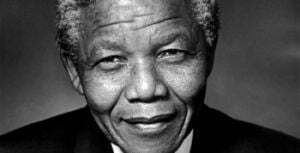 Human Rights Day (21 March) was officially declared a public holiday in 1994 following the inauguration of former president Nelson Mandela. This national day-off is both a stark reminder of the tragic Sharpeville massacre and a celebration of South Africa’s unique constitution, which gives equal rights to all. The Native Laws Amendment Act of 1952 extended Government control over the movement of Africans to urban areas and abolished the use of the Pass Book (a document which Africans were required to carry on them to ‘prove’ that they were allowed to enter a ‘white area’) in favour of a reference book which had to be carried at all times by all Africans. In apartheid South Africa, this day became known as Sharpeville Day and although not part of the official calendar of public holidays the event was commemorated among anti-apartheid movements. When you look at the history of this day, you cannot help but appreciate the freedom which has not come easy to so many people living in our beautiful country. The freedom to move, travel, speak our opinions and to participate as equals in the world is something to be proud as it was not easy to achieve. Some may see this day as just another public holiday where they can stay at home for a well deserved break without fully understanding the true meaning. However, once you educate yourself about what public holidays mean in South Africa, a sense of pride and achievement for the positive changes and growth of our people cannot be denied. We have so much to celebrate. If you have any questions, then contact us here.